NPS was awarded a ten year contract to operate marine and stevedoring services at the Port of Ras Al Khair. 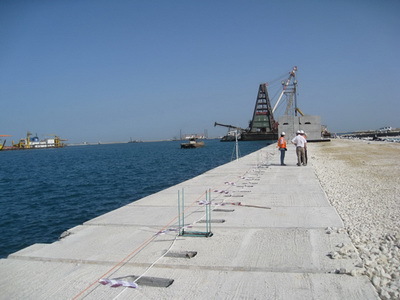 The Port of Ras Al Khair was designed and constructed to support the industrial development of the eastern region; investment projects such as diammonium phosphate, liquefied ammonia, caustic soda, and alumina are still ongoing. Ras Al Khair will serve these goods (mainly for export) as well as various cargo and other import goods. The Port of Ras Al Khair should be operational by the end of 2010 and will be able to serve dry bulk and general cargo vessels up to a capacity of 70 thousand DWT, as well as vessels carrying up to 50,000 DWT liquid cargo.